I had a billionaire client. And he made sure I knew about his jet and his household staff and his wife’s jewels. My first thought: this is medieval. My second thought: But he’s the billionaire, not me. Now I’ve got one of those hexagonal mirrors in my office window, but I can’t say I notice any difference in my luck. 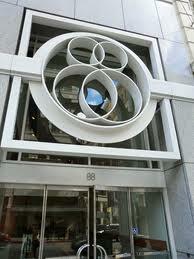 That guy moved his office to 88 Kearny, to reap some of the luck from the number 8. In Chinese superstition, that’s the number to hang your hat on. 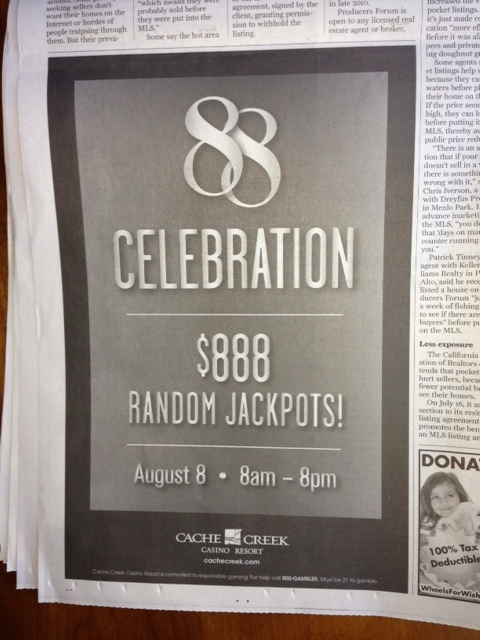 The thing is, the Chinese word for 8 sounds a lot like發: “wealth”. The Beijing Olympics started on 8/8/08. At 8 minutes and 8 seconds after 8 PM. 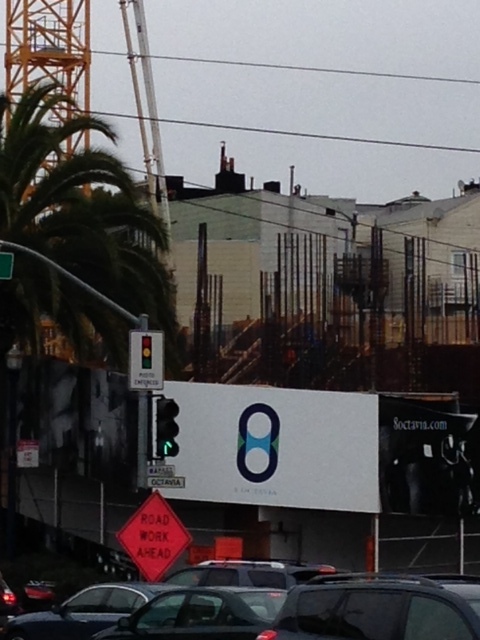 and the grand slam of 888 Brannan Street. I worked on the conversion of that building from warehouse to offices. My first client lost the building to the lender (not so lucky) and then I was hired by the new owner, who had better luck. It’s the new headquarters of Airbnb. Not so lucky: the number 4, which sounds an awful lot like 死, “death”. 444 Market Street even changed its name, to 1 Front Street. I attended the groundbreaking for a high rise that included a ritual involving tossing dyed rice in the air. Not so lucky for me, I got red spots on my jacket. The building was never built and the developer went bankrupt. Maybe you’re more modern and not easily spooked. This stuff seems silly and not very modern. But honestly, wouldn’t this address make you uneasy? 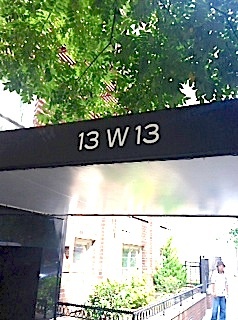 13 is actually lucky in Judaism, so 13 W 13 would be just fine for me. 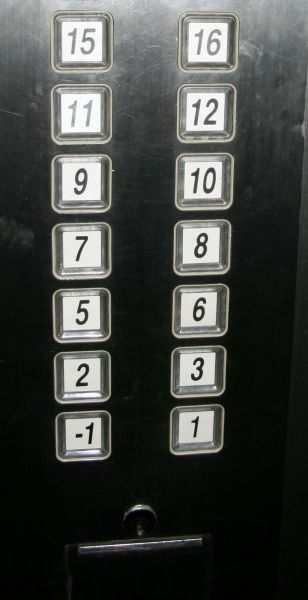 The Shanghai elevator also seems to leave off the 14th floor. as being considered lucky in Judaism?